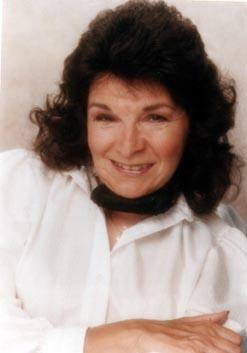 June Price was born in 1947 with spinal muscular atrophy (SMA), a neuromuscular disease. 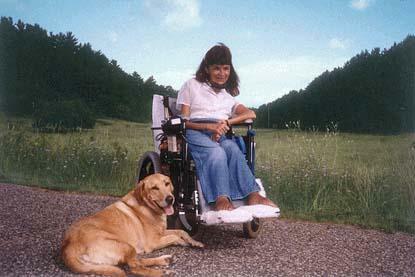 Never able to walk, she always required assistance with personal care and uses a power chair. Since1991, she has required nighttime breathing assistance with a BiPAP S/T noninvasive ventilator. June lived in the care of her parents until February, 1980, when she became one of the first physically disabled people in Milwaukee, Wisconsin to move into rent-subsidized housing for elderly and disabled persons on fixed incomes. Initially, June hired come-in PCAs for morning and night personal care. At that time, she was able to make her own meals (albeit with considerable time and effort) and independently met toileting needs utilizing an external, urinary device she co-invented. Most of June’s workers at that time were neighborhood woman who welcomed cash payment for short work hours as many had small children and were receiving government assistance. In 1988, June moved into a newly-built apartment complex for people with physical disabilities, most of whom were young. Her two-bedroom apartment allowed her to hire live-in attendants which she required as she further weakened. College students were hired for this position which includes primary personal care and overnight responsibilities. In 1995, home health aides were also hired through an agency to meet meal-making, toileting and other needs during the day. June currently edits Living SMArt, an international newsletter for people with spinal muscular atrophy, while maintaining live-in and live-out personnel to assist in her independence. For information about receiving Living SMArt, e-mail LiveSMArt@aol.com or call 414/541-2848. 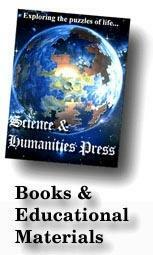 Other Books from Science & Humanities Press include very large print (greater than 14 point) titles. Write or call for a current catalog and let us know of your interests.